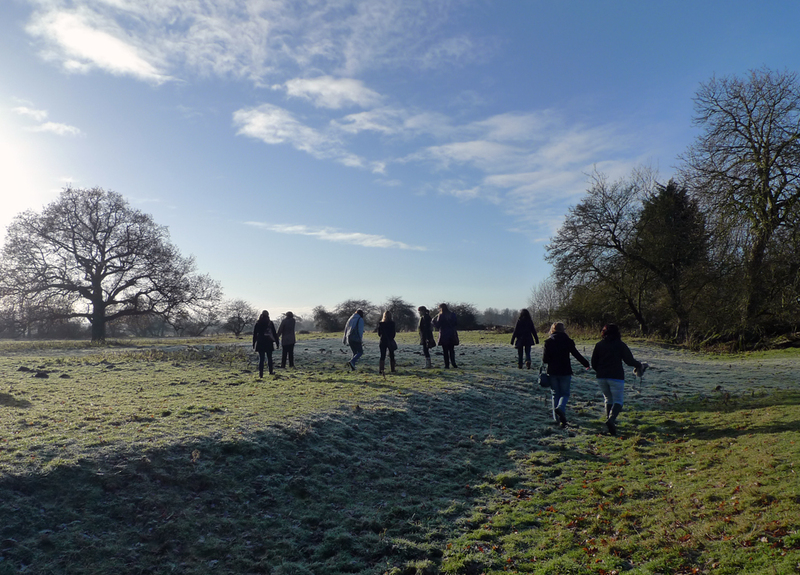 Today we took our third year undergraduate students on a field trip to Kimberley Hall, near Wymondham in Norfolk. This semester we have been teaching the evolution of the English country house and its landscape from 1450 onwards, and this week we are looking at the work of Lancelot ‘Capability’ Brown and his contemporaries, including Richard Woods, William Emes and Nathaniel Richmond. The best way to understand the eighteenth-century landscape parks that these designers created is to go and walk around one. 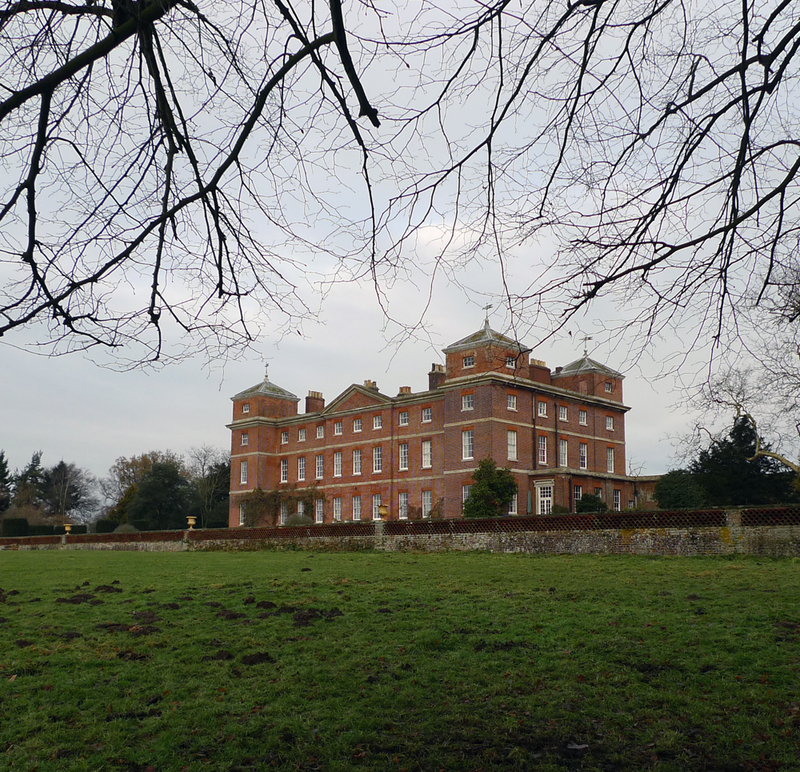 Kimberley was built in 1712 for Sir John Wodehouse, whose family had held Kimberley since the medieval period (the site of their manor house survives as earthworks within the park). The house was designed by William Talman, the architect of Chatsworth, but was substantially altered in the 1750s – a period of rebuilding which is well documented by an almost complete series of building accounts held in the Norfolk Record Office. This phase included the construction of the corner towers, the decoration of the Music Room, and the spiral staircase inserted into one of the towers by the designer John Sanderson. The grounds around the house developed from the medieval deer park created by the Wodehouses, and were landscaped by Brown in the 1760s. Kimberley is the finest Brownian landscape in Norfolk, and we were very lucky to be able to look at Brown’s original plan before walking into the park and surveying the prospect across the lake. 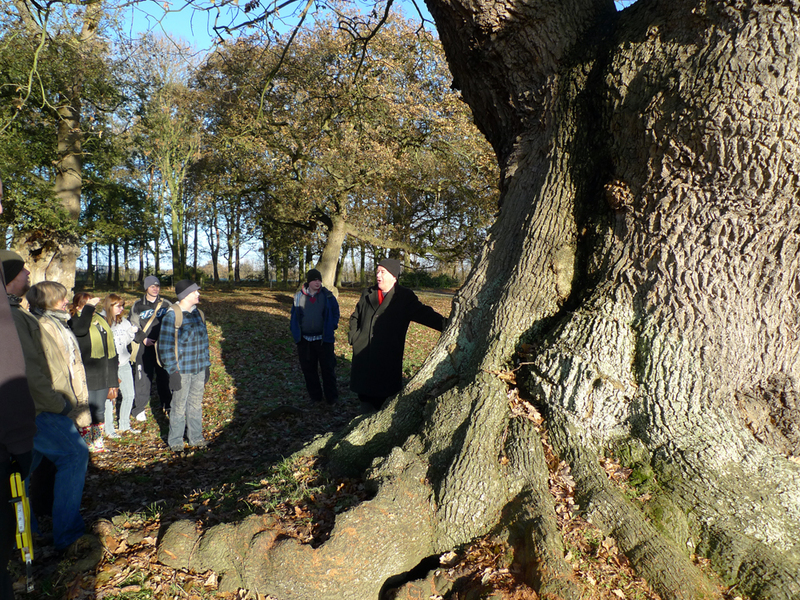 The park also contains a number of ancient oak pollards, some of which are probably medieval in origin, and sit within the earthworks of earlier field boundaries dismantled when the park expanded in the eighteenth-century – the retention of ancient hedgerow timber was a common practice in this period. Kimberley Hall is privately owned, and is open to the public on Heritage Open Days and by appointment. 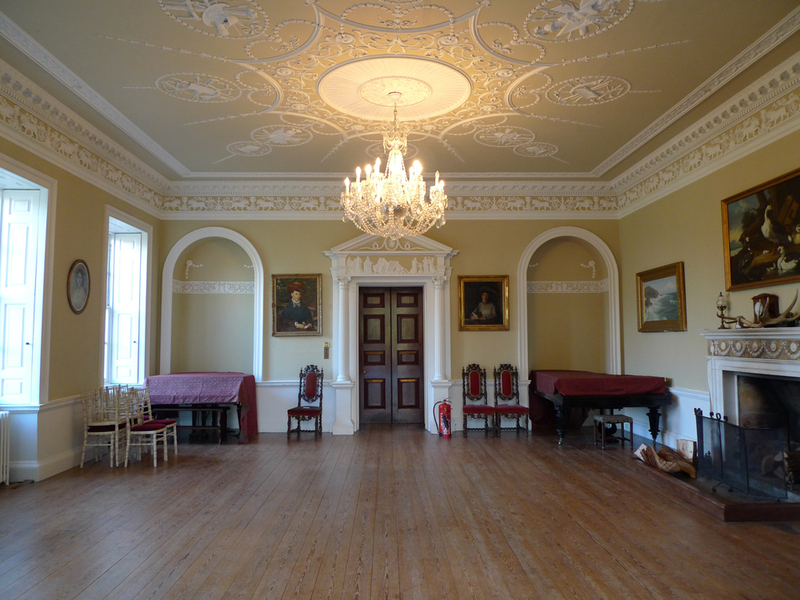 The Hall is available to hire for weddings and other events.